We all know that juicing and juice fasting using raw vegetables and fresh fruits is a way to provide our body with nutrition, energy, and health. Raw juices supply the body a substantial amount of vitamins, minerals and enzymes, and help maintain the PH level in our body. 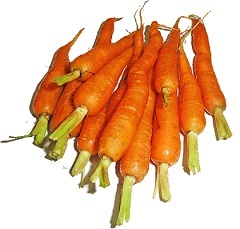 The phytochemicals in them also help to remove carcinogens from our body. The anti-aging properties in many vegetables, such as cucumber and carrots, help improve our skin, hair, and nails. During juice fasting, fresh juices also act as an appetite suppressant, and help curb cravings. As a result of juice fasting, many have experienced healing of various illnesses such as cancer, leukemia, arthritis, high blood pressure, kidney disorders, skin infections, liver disorders, and alcoholism. Some people prefer juicing only vegetables as they are low-calorie and helpful in stabilising blood sugar levels. Fruit juices have more sugar and about 50% more calories. For me, I juice regularly with celery as the primary vegetable and a smaller amount of fruits like orange and green apples to make my juice more appetising. For a good morning body detoxification, I also use a Japanese vegetable and fruit juice recipe consisting of bitter guard, Japanese cucumber/green marrow, celery, green apple, and green pepper. 1. Fresh juice is very perishable. It starts losing nutrients, including its enzymes, as soon as it is made. 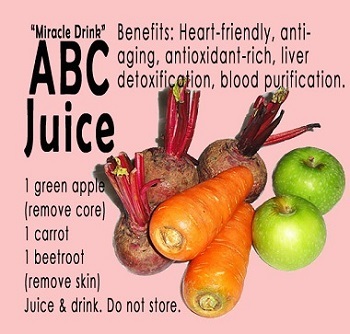 Drink it immediately to maximise its benefits in juice fasting. Most of us prefer icy cold juices, but juice is best consumed at room temperature. 2. If fridge storage cannot be avoided, reduce nutritional decline by storing juice in an airtight glass jar with a minimum amount of air in the jar (ie fill juice to the top of jar), as oxygen in the air will oxidize and damage the juice. Wrap the jar with aluminium foil to further block out light which can damage the juice. 3. Peel off the skins of oranges and grapefruits as they contain toxic substances. However, retain as much as possible the white, pithy part just below the skin, as it contains valuable bioflavonoid. For apples, remove the seeds as they contain small amounts of cyanide. 4. Juicing leafy greens becomes much easier if you roll the leaves into a little ball, before feeding it into the machine. Generally, darker green vegetables are more nutritious but less palatable. Cucumber can help disguise the strong flavours from leafy greens. 5. Wheatgrass is exceptionally helpful in cleansing the lymph system, removing toxic metals from the cells, nourishing the liver and kidneys, and restoring vitality. 6. Cabbage juice is a popular remedy for gastric ulcers and intestinal tract infections as it is a huge source of vitamin U. 7. Celery, cucumber, and watermelon are very palatable and extremely helpful in cases of water retention in the body. 8. Fresh ginger has anti-inflammatory properties that can relieve stomach irritations, nausea and motion sickness. It is also an excellent addition to give your juice a "punch", if you can tolerate it. 9. Cranberries have an antioxidant content that's five times more than broccoli. They are also full of phytonutrients which help women prevent urinary tract infections. 10. Fresh coconut not only adds a delightful exotic flavour but also carries the nutritional benefits of medium chain triglycerides. 11. Drink at least 2 litres of water per day even when you are juice fasting. You can also include herbal teas, home-made barley, red bean or green been soups. Use raw honey as a sweetener. 12. Reduce the amount of citrus fruit juices in the morning. Avoid them if acidic juices tend to cause stomach cramps for you. Melon or vegetable juices are best if you wish to drink in big amounts. 1. Learn how to fast and detox with honey water for three days in: Fasting With Honey. 2. More precious tips on honey water fast in 12 Lessons I Learnt From This Honey Water Fast. 3. Give yourself a quick head-start with Fasting with Honey. 5. Find out how detox can benefit your body in The Power of Body Detox. End of "12 Awesome Tips for Juicing and Juice Fasting". Back to "The Power of Body Detox".